Every day, individuals around us make the sacrifice to serve in the military. 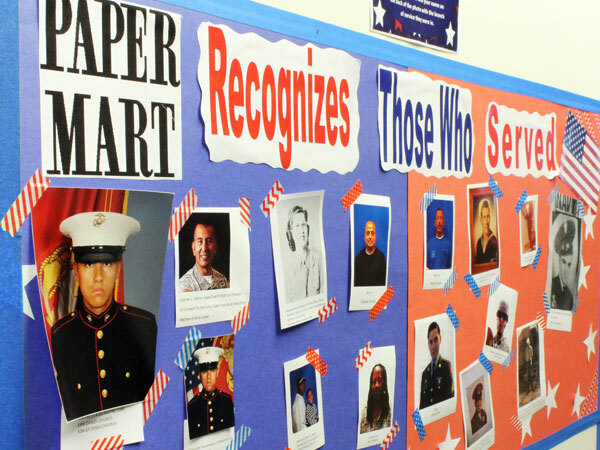 This Veterans Day, take a moment to recognize and honor those in your community who have served and continue to serve our nation with an easy to make Wall of Honor. This is the perfect DIY for a classroom, home, or office. Check it out! This is an excellent way to not only recognize veterans in your community but to build rapport and camaraderie among those around you by getting to know those close to them. First, create your space using your construction paper. Simply secure your paper onto your wall. If this is a temporary installment, we recommend using a paint-friendly masking tape. Next, reach out to the members of your community! 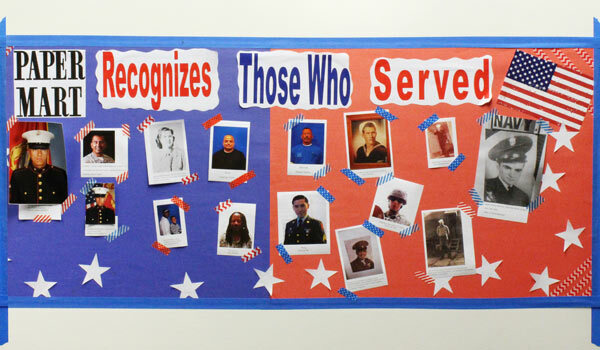 Encourage them to bring a photo of a veteran in their life. As photos arrive, use your washi tape to secure them to your wall. Soon, the new space will be a gallery of honorees! With just a few steps and supplies, you can easily design a beautiful craft that pays homage to those who served. Loved this simple how-to? Keep following our blog all year long for more DIY craft videos, tips for small businesses, product features and more!